Students separate the colours in pen ink using chromatography. 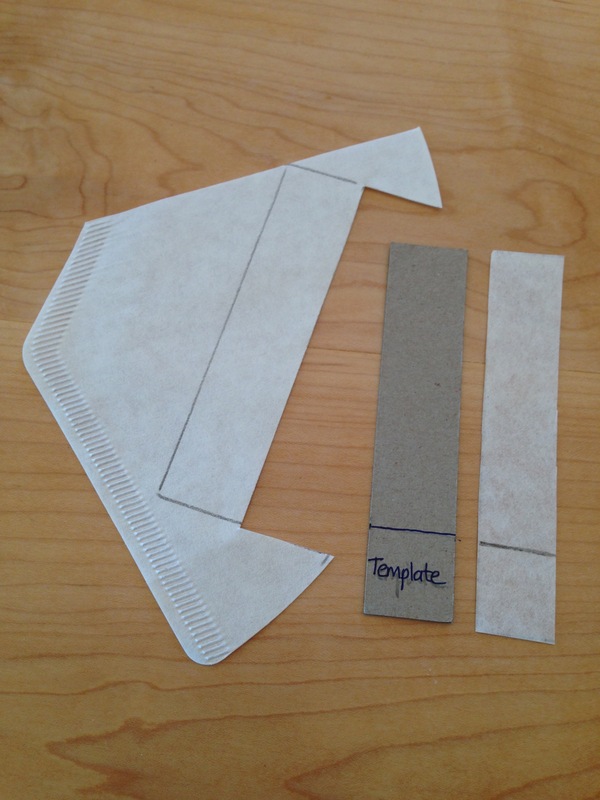 Make a cardboard template of such a length so that when binder-clipped to the coffee stir stick it hangs to within 1cm of the bottom of the tub. Add a line across the template 2cm from the bottom. Add 1½ cm water to the tub. Test the template and water level by cutting out a piece of filter paper the same size as the template, and drawing a marker line across, level with the line on the template. When clipped to the coffee stir stick the filter paper should just dip in the water, but the marker pen line does not. As the water creeps up the filter paper it draws up the colours of the marker. Adjust the template if necessary, then make enough for the class. Test out the markers available, to make sure that at least some of them are made up of two or more different colour inks. Students use the template to cut out filter papers, add a marker line where indicated, as well as a dot of marker colour at the top of the filter paper strip (to remember what colour they started out with). 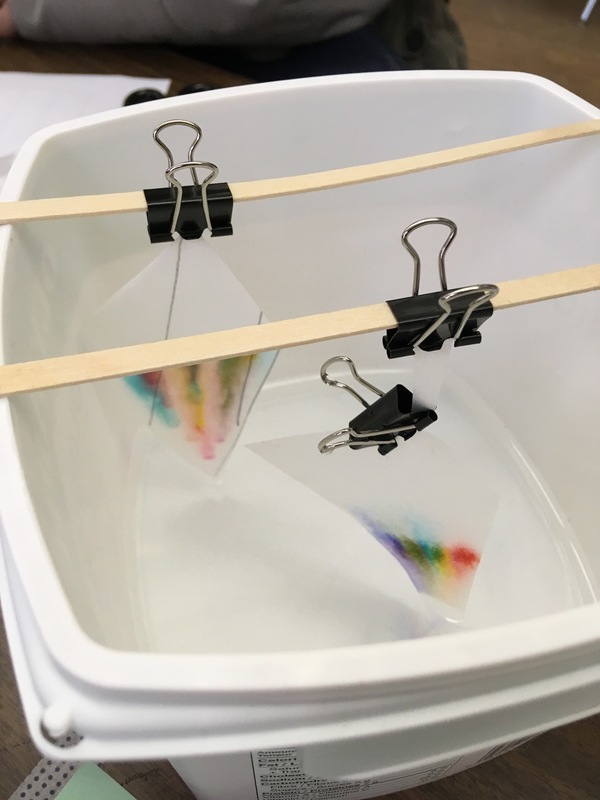 They can clip two or three filter paper strips to one stick, to run several chromatograms at a time, but should make sure that the filter papers do not touch each other or the sides of the tub. 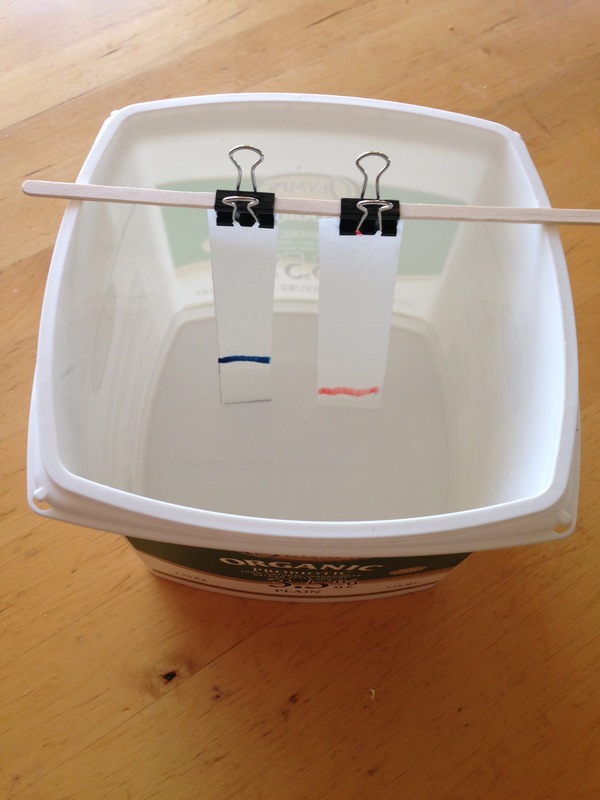 Make sure they remove the strip from the water before the colours run into their coloured dot at the top, and lay it on a paper towel to dry. Black, brown, blue, green colours usually work well. The darker colours are generally a mixture of more colours. 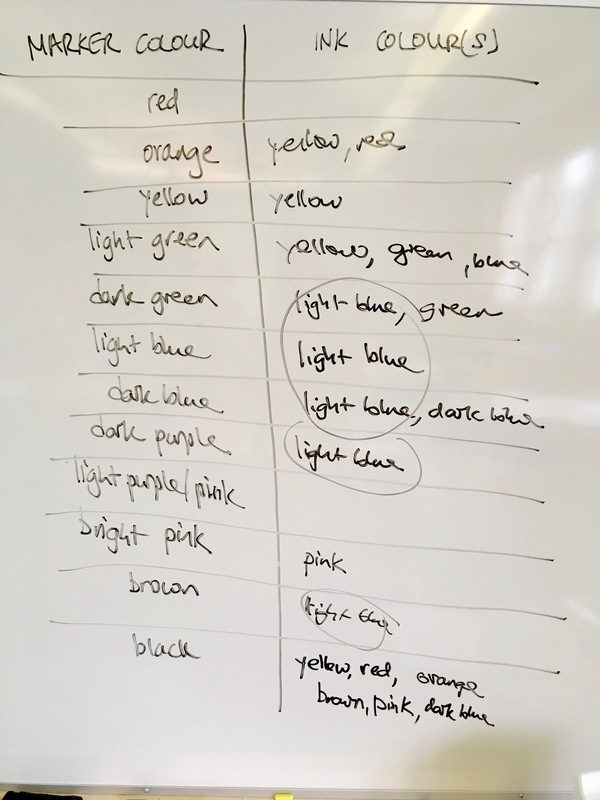 From a pack of pens, students can document what colour ins are in each pen, then start to figure out how many inks are used to make up a full pack of pens. Chromatography can be used for separating mixtures of molecules in a solution. This technique is used a lot by chemists and forensic scientists. The coloured dye molecules in the ink of the pen are attracted to both the water that it is in, but also the surface of the filter paper. Each different colour is attracted to the water or the filter paper to different extents. As the water moves up, the dye molecules that are most attracted to the water will move along fast with it. If the dye molecules are mostly attracted to the paper, they will get stuck to the paper and not move along with the water at all. Most colours are attracted to both the water and the paper, so will travel with the water for a while, then stick to the paper for a while. 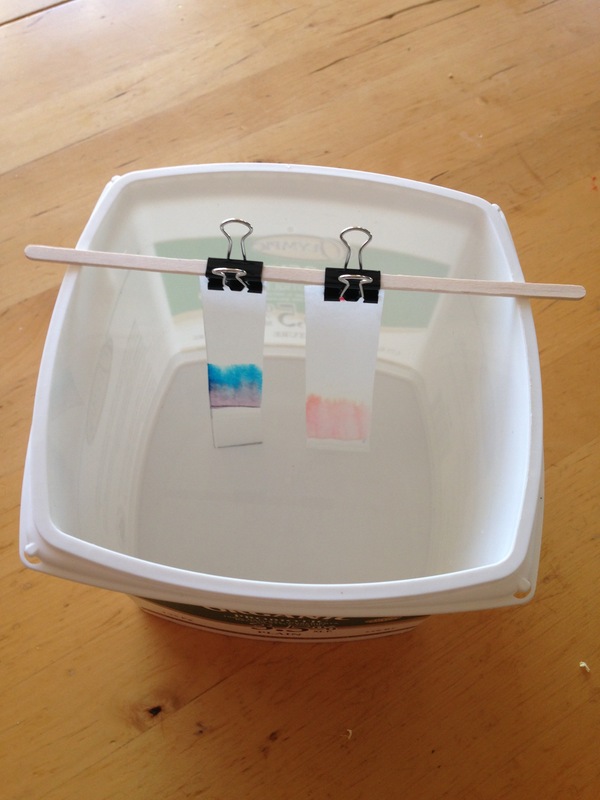 Depending on the relative attraction of a dye to the water and the paper, a colour will travel at its own rate. The differing rates of travel separate out the colours. By mixing the colours put on the filter paper, then cutting and mounting the best patterns, some great art work can be made. 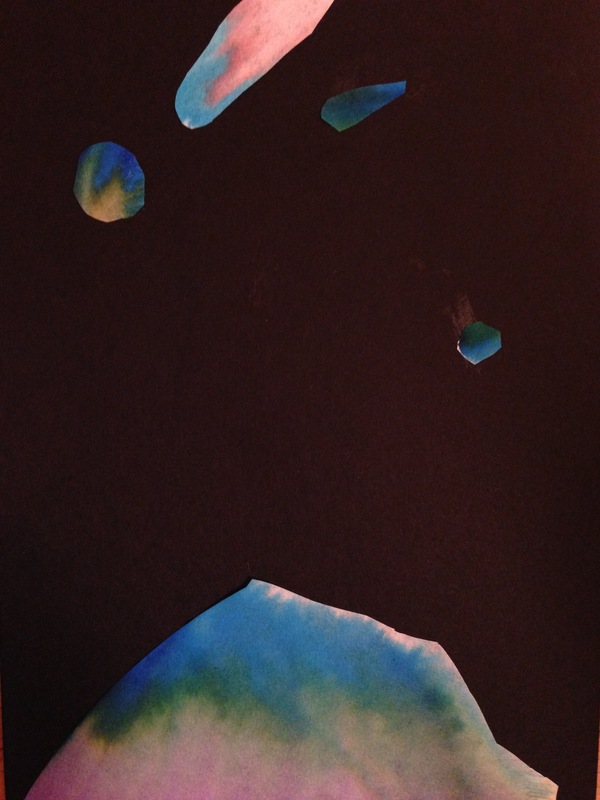 Alternatively, students make dots of marker colour on filter paper pieces laid flat, then use the Q-tips to drip and smear drops of water over the colours to separate them. 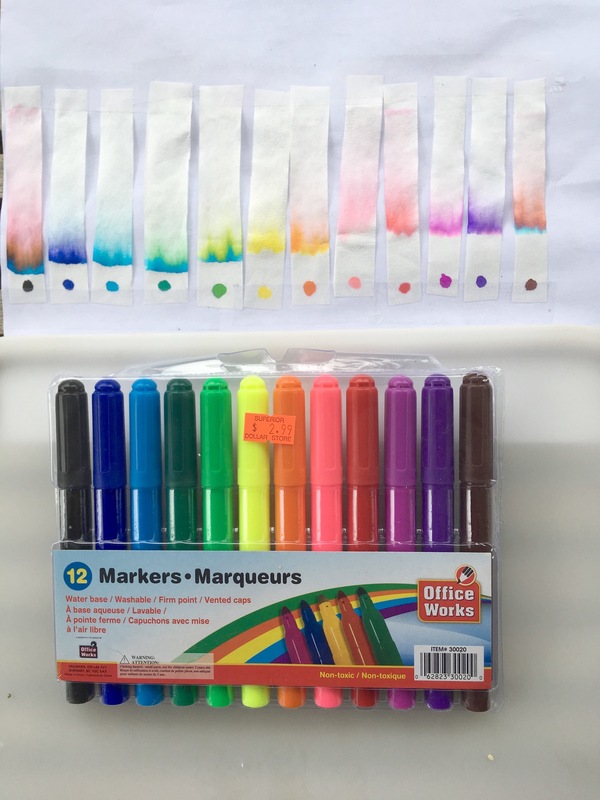 The colour in children's markers is a dye - a solution of coloured molecules in water. Permanent markers, dry erase pens and ballpoint pens are also dyes in a solvent. Paints are generally a pigment - a colloid of solid particles suspended in a liquid. 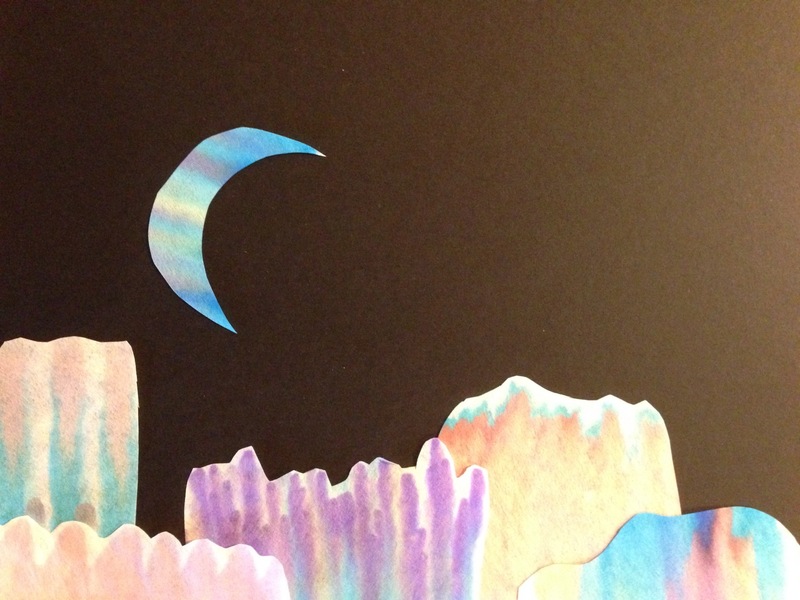 Pigment-based art materials are more opaque than dye-based art materials. Should be able to see the difference between a dye and a pigment under the microscope.